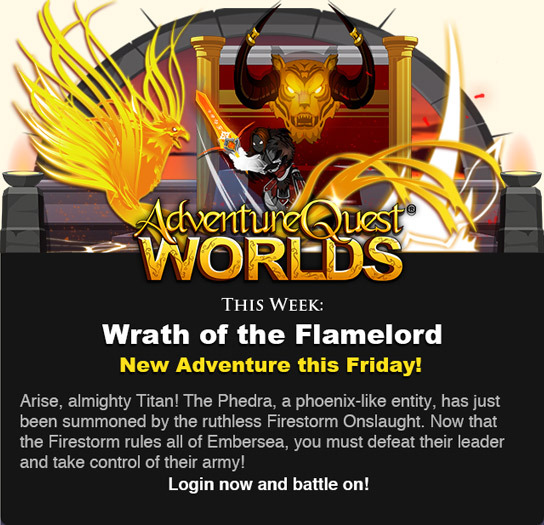 Fire titans, hot items, and so much more is happening this weekend! Thanks for playing, and a special Thank You to our awesome AdventureCoin buyers & Legends for supporting the game! Your enemies are going down in FLAMES! Fire and Ice combine this week to make your weekend extreme! 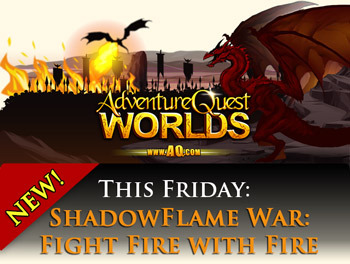 AQWorlds heats up as we release the much-requested Pyromancer Class! After sending your enemies up in flames, cool off as you head back into the chilly darkness for a member-only release in Battleunder! In The Span, Bulbug's House shop and the Cysero's Orb Pet shop both gain new versions of your favorite gear from AQ, DF, and MQ! Can YOU handle the heat of the Pyromancer Class? You'll never need to sulfur at the thought of missing a hit again! In the heat of battle, you'll be the one firing off shots and smoking your opponents because the Pyromancer Class is live! Send your opponents up in flames with a number of hot new skills and animations. There will be two ways to get the class. If you want it immediately you will be able to take the shortcut and buy the class from Itzachi the Class Dealer in Battleon for her standard fee of 2000 ACs. If you want to earn the class, you will need to first complete the Xan storyline which starts in the Volcano map. Once you have completed the story, you can speak to Warlic in the Shurpu Library. He will have a Merge shop and two Daily Quests. 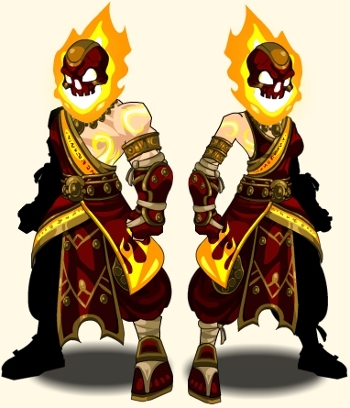 The Pyromancer Class will cost 84 Shurpu Blaze Tokens. If you are a non-member you can only get 14 per week, but Members can get 21 per week. This means thart it will take non-members six full weeks of doing the simple daily quest to earn the class while Members will earn it in only four! 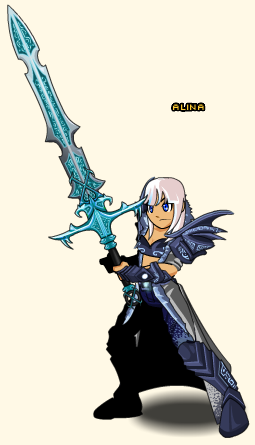 NOTE: You will NOT need to have completed or even begun the Xan quest line to purchase the AC version of the class. NOTE: You will only be able to do one of the dailies per day. If you are a Member make SURE you are doing the clearly marked MEMBER Daily quest! Members can cool down in BattleunderD! Work with Paladin Yara to battle the frigid skeletons, evade the icy banshees, and face the Glacial Horror to free a trapped water spirit who possesses one of the keys to returning light to the Battleunder dungeons! Summer releases will only get hotter! As June ends, we are rolling up our sleeves and preparing to raise the bar even higher! War is on the horizon, Chaos churns and boils, preparing to make every Hero's life much, much more interesting, and Yorumi is making great progress on Guilds. Have a great weekend, everyone! We're going to go enjoy the hot Summer sun as it slowly sinks beneath the cold ocean.